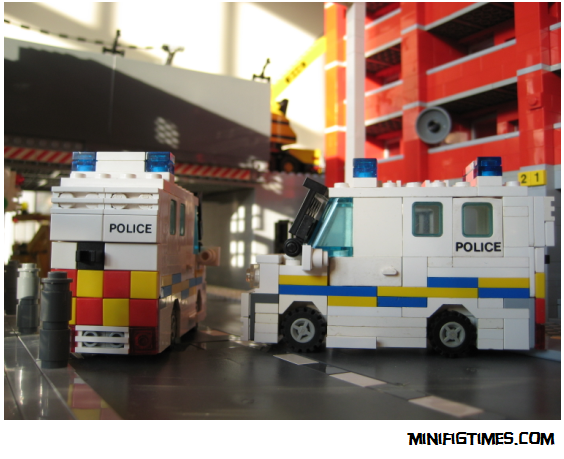 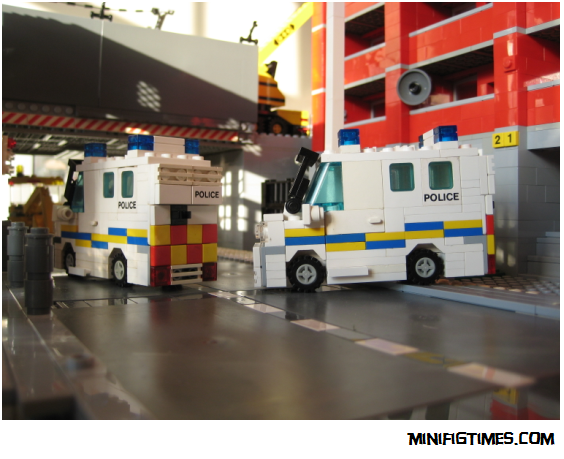 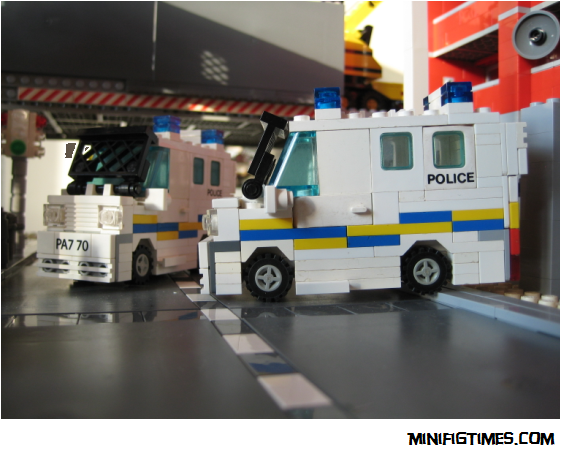 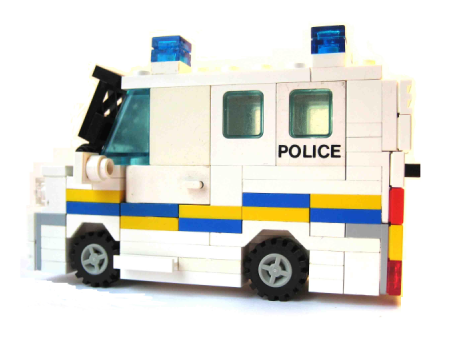 This MOC is inspired by the Land Rover Tangis used by the Police Service of Northern Ireland. 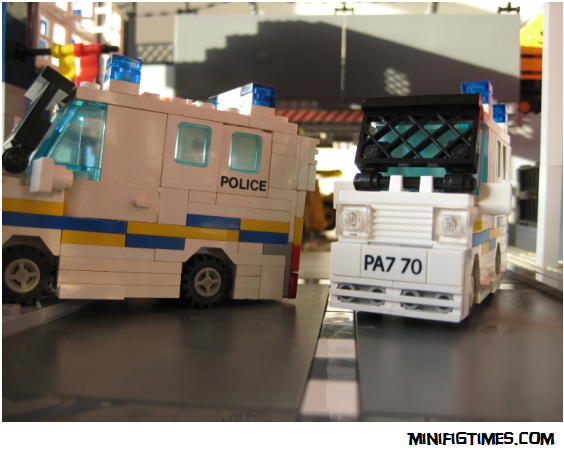 Although I haven’t tried to copy the exact positioning of aspects of the armoured vehicles, (for example the lights, wing mirrors, signage) I hoped to capture a decent enough reflection of the real thing, keeping in mind it had to be 4-studs wide. 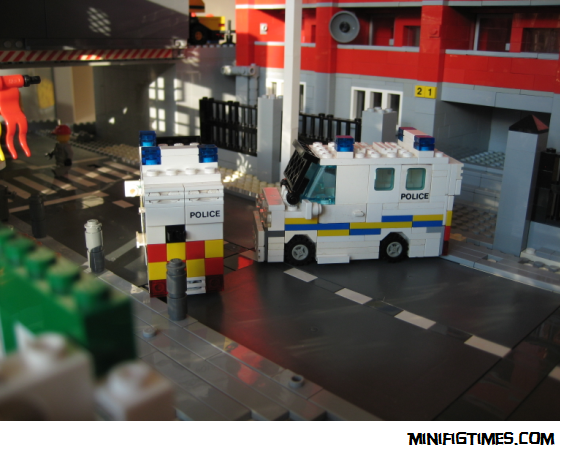 The background buildings are part of my bit for the Dun Laoighaire model railway exhibition, still a WIP.